The transmission of warning signal depends on a number of factors. Therefore, it is of the utmost importance to take as many of them as possible into account when building an acoustic warning system. 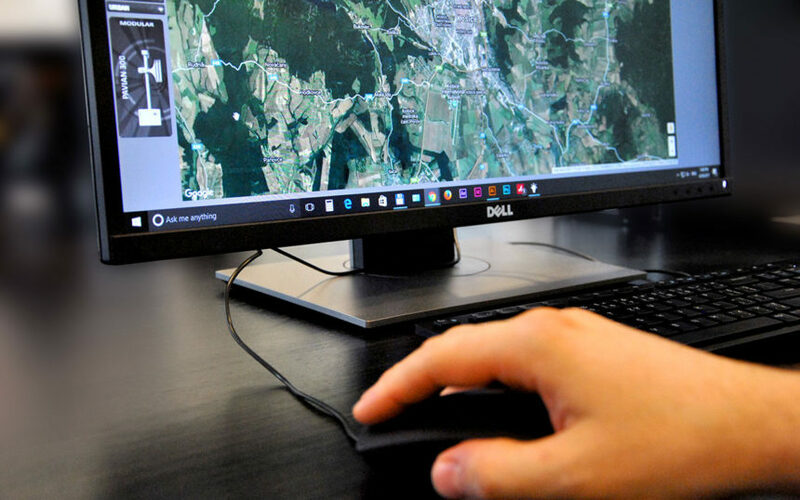 Besides background noise, which we explored in the previous article, How to Estimate and Set up Background Noise Levels in Acusticus, other parameters include weather and air conditions, terrain conditions, humidity, altitude, building intensity, etc. In Acusticus Professional, it is possible to design a solution in the way that all important parameters are considered. Building intensity means both the height of buildings and density of area development. For example, in a small village where low buildings are scattered over a relatively larger area, the value of the building intensity effect parameter is lower in comparison with a large city full of high-rise buildings, where the same parameter value is to be set considerably higher. At the same time, this means that a warning signal can travel quite far in the former case and can be heard over a smaller distance in the latter case. 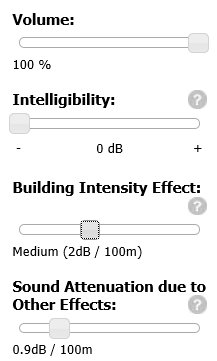 In conclusion, this building intensity effect is significant regarding the acoustic range of a warning device. In practice, it is a real challenge to determine the exact influence of building intensity. Therefore, the parameter value is estimated based on statistical measurements and practical experience. It is recommended to set it at 1.4 dB/100m for low building intensity, between 1.5 and 2.4 dB/100m for medium building intensity, and a value higher than 2.5 dB/100m for high building intensity of the area in question. In this case, not only is it essential to opt for acoustically more powerful sirens, but also locate and direct them appropriately. Sound attenuation is caused by the environment, and it depends on climatic and weather conditions. The transmission of sound in coastal areas with high winds and humidity is rather different from that in desert areas with typically dry and hot air. Moreover, rare or atypical sounds, such as those caused by aircraft flights or truck passages, may be reflected in the value of this parameter. Sound attenuation is measured in dB/100m, depending on local conditions and practical experience. When sirens are used mainly for broadcasting the spoken word (voice announcements) or music, it is necessary to increase the value of intelligibility. The range of acoustic coverage is then lowered. For acoustic projects where intelligibility is a crucial parameter, it is advisable to use more sirens with lower acoustic outputs. For warning signals, it is recommended to set this value to a minimum. For more information click on http://acusticusprofessional.telegrafia.eu/ or contact us.